Working with our enemies to thwart our President. Uhhhhhh .... wasn't this a huge criticism of Trump, that he was conducting unauthorized foreign policy with Russia before he was sworn in. Logan Act? Anyone? Isn't this what Mueller was supposed to be investigating? Isn't this the whole thing? That picture is pretty awsome. Whats up with whitehouse.gov tho? Creepy af seen from the back. Trump and Melania have their hands underneath lifting Macron's, so they're using all the power and doing all the work. Then Macron shoots out the Devil horns as a sign of defiance. That's what everyone saw from the front. None of them think they're out of office!! Bet Kerry has some financial "investment" in some Iranian deep projects. No wonder he's flipping out !! You will need for coming weeks. Put it this way, six attempts were made to silence the witness scheduled to appear tomorrow. Bad actors have repeatedly attempted to assassinate William D. Campbell to prevent his testimony. Is this from the old article? I was confused when I first read this. Yeah they got Flynn on that one too well they thought they did. I wonder who leaked the story about Kerry and him trying to salvage the Iran deal. Pretty sure that is Treason. Attempting to give aid to an enemy of the USA. I’m getting sick of this blatant criminal and immoral behavior. When are we going to have hundreds openly charged, locked up and some executed. Grow some balls America holy hell. Now that is something worth pondering. No coincidences right? 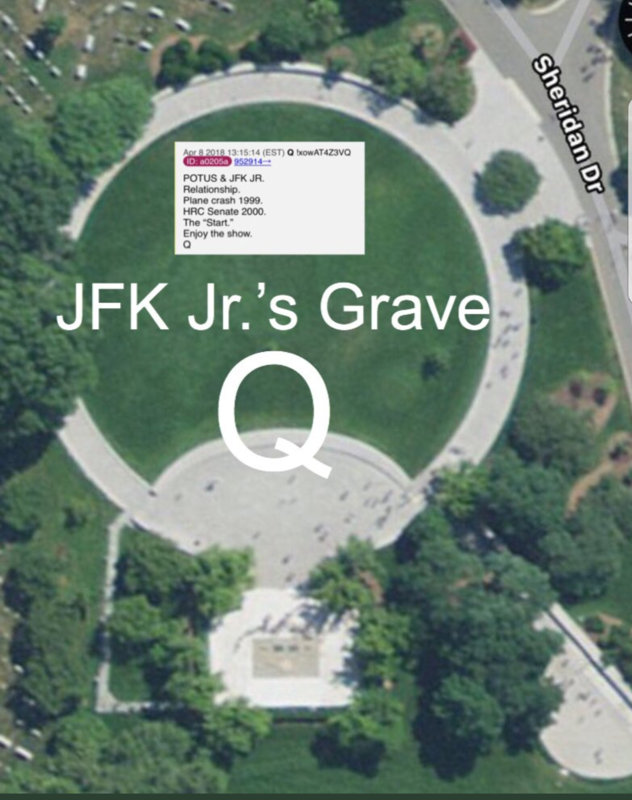 WWG1WGA - JFK Jr- Q. Just wow.